66th annual event marched through Old Town Scottsdale Saturday. 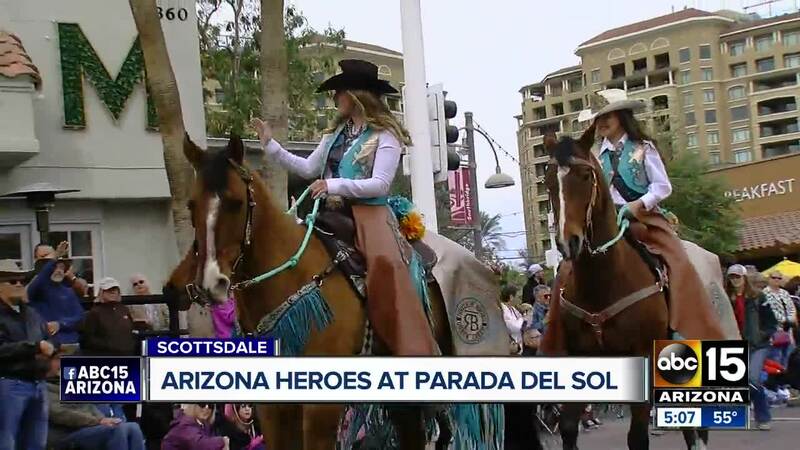 SCOTTSDALE, AZ — Participants in this year's "Parada del Sol" marched through Old Town Scottsdale Saturday. The theme was "Arizona's Heroes." The late Senator John McCain was named honorary Grand Marshal and all heroes, from war veterans to first responders, were recognized. Parada del Sol Treasurer Don Chiappetti says it takes a lot of work to keep the event, which is in its 66th year, going. Organizers say Cindy McCain was supposed to ride in the parade in her husband's honor, but was feeling sick and could not attend.